The John A. Schweitzer Gallery is located in the Archives and Research Collections Centre. It is open the same hours as the Archives Reading Room and is accessible through the D.B. Weldon Library. Dr. Charles Drake was an internationally renowned neurosurgeon. Born in Windsor in 1920, he received his medical degree and Master of Science from the University of Western Ontario (UWO) in 1944 and 1947, respectively. He married Ruth Pitts in 1946 and they had four children together. 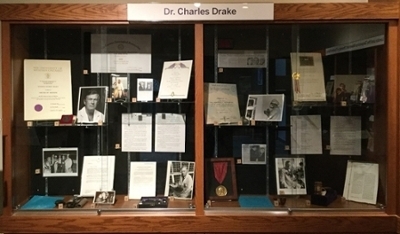 After training both in Canada and internationally, Drake returned to UWO and served as a clinical professor of surgery from 1952-1969. He also chaired the Department of Clinical Neurological Sciences and the Department of Surgery before retiring from surgery in 1992. Drake received the Order of Canada and the Royal Bank Award and wrote hundreds of articles and book chapters. Drake died on September 15, 1998. View the exhibit until June 29. Have you ever wondered how breweries survived prohibition? 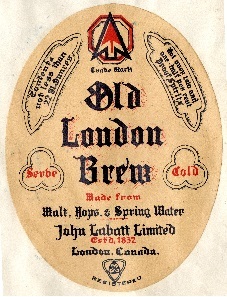 Come see how the Temperance movement changed London’s breweries, and how London’s own brewery, Labatt, endured the prohibition era. London and the Temperance Movement: Brewing in Troubled Waters is on display at the John A. Schweitzer Gallery until June 29.